Very nice! You nailed the droplet effects . Great work on the stumps! Wow! The metallic one almost looks pearlescent. Wow! i love they way your resin looks . You set the bar very high! Awesome work . To do is more per-panel variation, options for paint colour, and having some interesting colour patterns. All of it will use parameters so it can be used as brand new for arch-vis, as well as Post apocalyptic horror/sci fi film and videogames. Im loving these. The colours look great man. Substance Designer - Showcase - Re: My work with Substance Designer and Substance Painter. 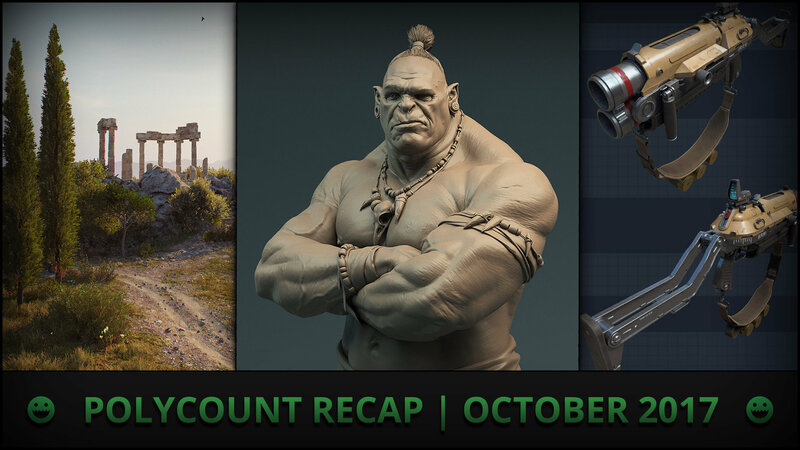 I'm super happy that we made the Polycount Recap | October 2017! Its an honor to be in such great company . You're off to an amazing start already . Very cool ropes.